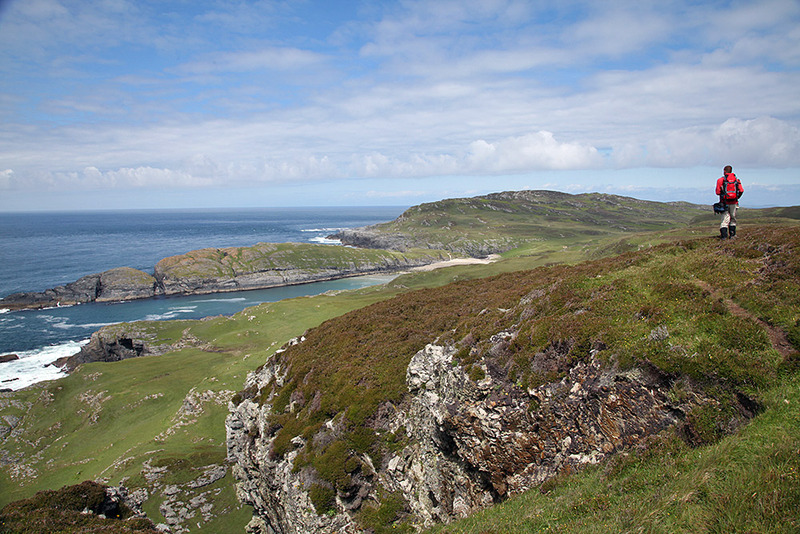 A view from the west coast of Islay north of Saligo, that’s me walking on the top of the steep cliff. The beach below is Tràigh Bhàn, just above it you’ll find one of the memorials for the Exmouth disaster. Picture courtesy of my sister Imke, taken during one of our Islay walks in June 2013. This entry was posted in Beaches, Cloudy Weather, Guest Picture, Landscape, New Post, Sunny Weather and tagged Islay, Saligo, Smaull, Traigh Bhan by Armin Grewe. Bookmark the permalink.